I fail to see the fail! ._. i have the same tattoo on my hip !!!!! WIN!!!!!!!! I like Gary! I wouldn't get a tattoo of him for sure, but I don't see the fail if the guy wanted him. Tattoo snailure. This is winning. Lol, he's gonna need those muscles with that tattoo. 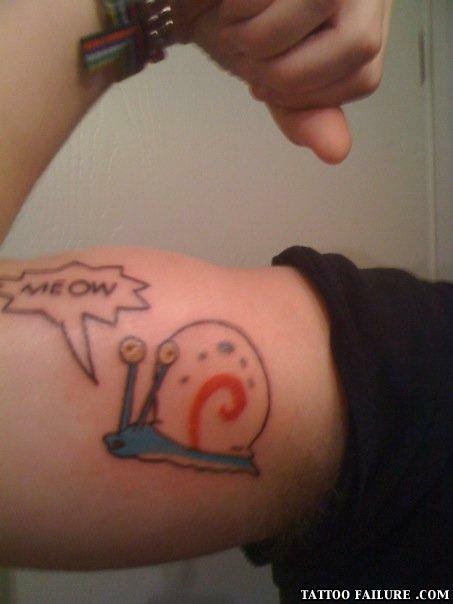 LOL - the snails of Simon´s Cat...Great! Omg!! he has a snail crawling out of his arm pit!